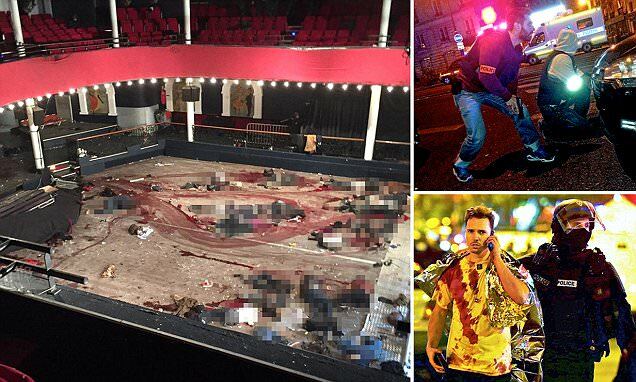 PARIS MASSACRE: ISLAMIC STATE TERRORISTS MURDERED CONCERT GOERS IN WHEELCHAIRS…… – The Tundra Tabloids……. Of course, these are the same people that behead people with knives, burn people alive, toss people off of buildings and run people over under the treads of tanks. Mohamed would be doing the same if he were alive today. WARNING GRAPHIC CONTENT: An hour into the rock concert, the atmosphere was frenetic. The band had just finished playing a number called Save A Prayer and – having told their raucous Parisian fans they loved them – they were launching into another favourite, Kiss The Devil. How sickeningly ironic these song titles seem now. As the strobe lights flashed, silhouetting the Eagles of Death Metal drummer Julian Dorio raising his sticks and white-bearded guitarist Dave Catching thrashing out a riff, a volley of cracks rang out – so loud they cut right through the thrumming heavy metal music. Many among the hip young crowd whooped and cheered, thinking it must be some zany pyrotechnical prank. Even when three men burst through the doors brandishing semi-automatic weapons and bristling with magazines of ammunition, some thought they were part of the spectacle, writes DAVID JONES. Above: The true horror of Friday’s attack is shown in one distressing picture of the Bataclan theatre (left) and by other photographs of police waiting to storm the building (top right) and survivors drenched in blood as they walk down the street following the incident (bottom right). 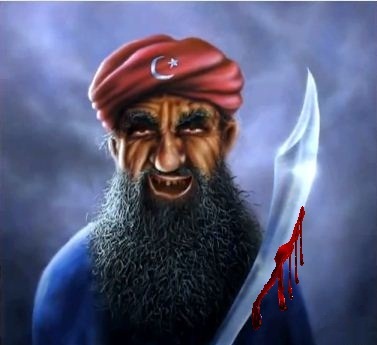 Previous Post Previous Post OBAMA RESETTLES 10 000 SYRIANS IN THE UNITED STATES, PLANS TO IMPORT 200 000 OVER NEXT 2 YRS……. Next Post Next Post ISLAMIC STATE SAYS ATTACK ON FRANCE JUST THE START……..